Indian skipper Virat Kohli is undoubtedly the best modern-day batsman across all three formats. Kohli has had his share of controversies in his cricketing career. 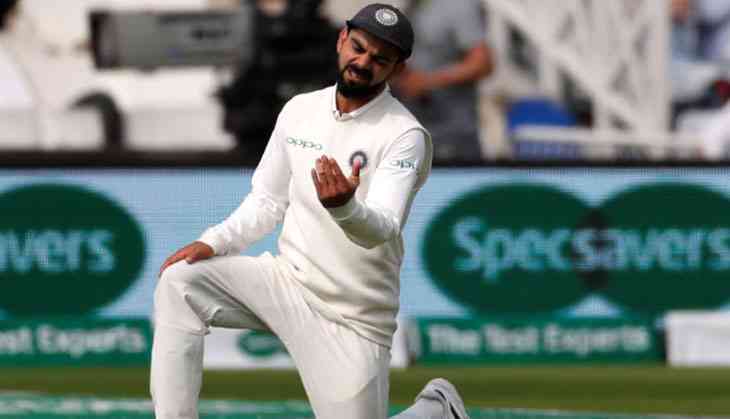 Virat Kohli recalled the incident with what he did during the 2012 Sydney Test between India and Australia.One of his incident that spread like wildfire across the cricketing world when Kohli was spotted on cameras showing his middle finger to a group of spectators. Kohli was standing at the boundary line at that moment and he was even crashed with the cameraman when Michael Clarke smashed the ball towards the boundary line. Kohli made international debut against Sri Lanka in year 2008 in an ODI at Dambulla. He recalled in an interview with Wisden Cricket Monthly and cited that “The one thing I remember most is when I’d had enough of the Australian crowd at Sydney [in 2012] and I just decided to flick a [middle] finger at them", as reported in Indian Exppress. “The match referee [Ranjan Madugalle] called me to his room the next day and I’m like, ‘What’s wrong?’ He said, ‘What happened at the boundary yesterday?’ I said, ‘Nothing, it was a bit of banter’. Then he threw the newspaper in front of me and there was this big image of me flicking on the front page and I said, ‘I’m so sorry, please don’t ban me!’ I got away with that one. He was a nice guy, he understood I was young and these things happen,” he said. Indian skipper Virat Kohli spoke about his coach Raj Kumar Sharma, who played a crucial role in shaping Kohli's batting skills and personality. He said “My coach, Rajkumar Sharma, was always looking at things from the outside and he understood me the most after my family, because I had interacted him so much over the years. My family as well. Every time they felt like I was not on the right path they told me,"